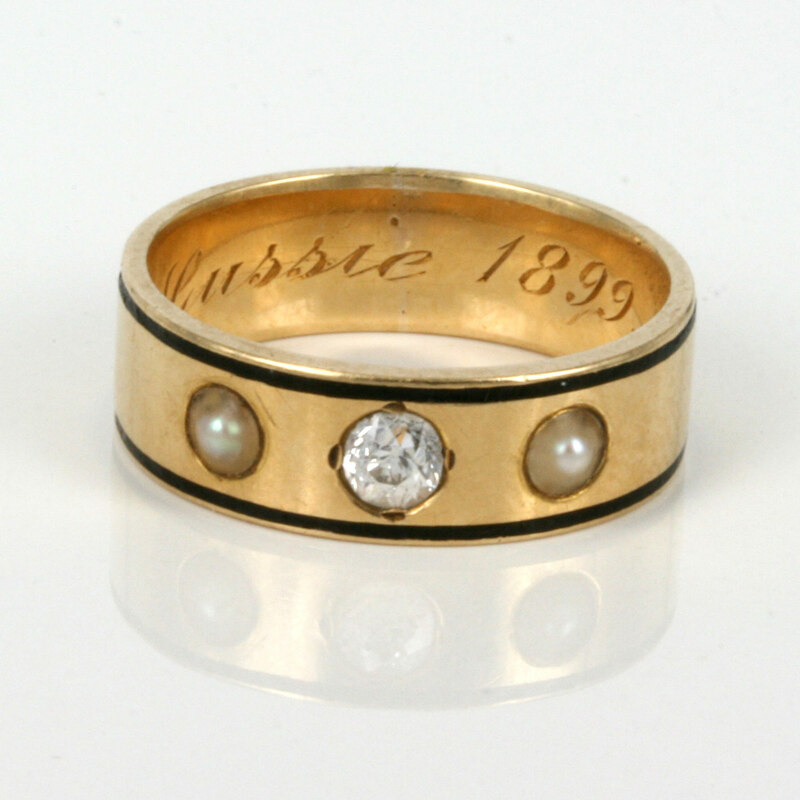 Antique diamond and pearl ring from 1899. Product code: ES1431 Categories: Sold Items, Sold Rings. 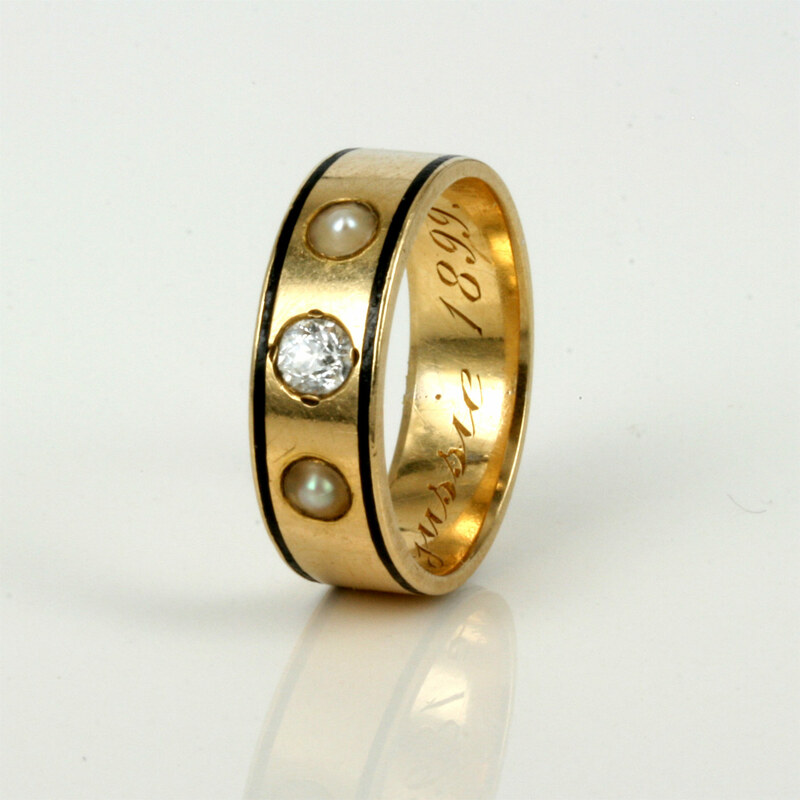 Here is a very attractive and very elegant antique pearl and diamond ring made in 18ct yellow gold and dating from the end of the 19th Century. Set with 2 pearls and a lovely diamond that sparkles so nice, the diamond measures 0.25 carats, and looks wonderful in the gold setting. Highlighted on each side with very fine and stylish enamel, this ring measures 6.5mm wide and sits so perfect on the finger. 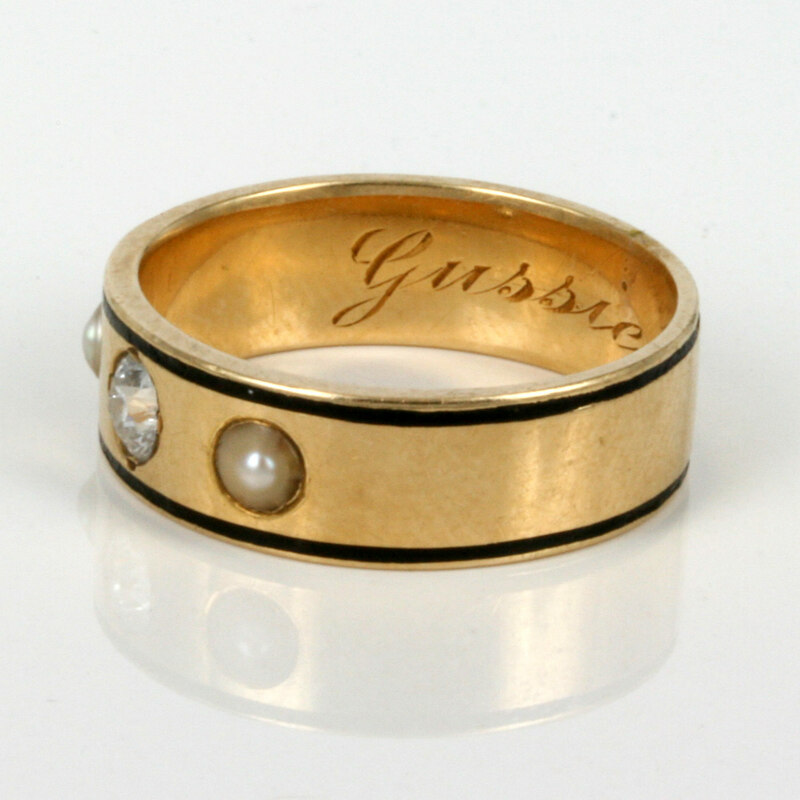 On the inside of the band is engraved “Gussie 1899” and the style of this ring, allows it to be worn with other antique rings or with modern rings and fit in beautifully with both. A very elegant antique diamond and pearl ring from the late Victorian era.